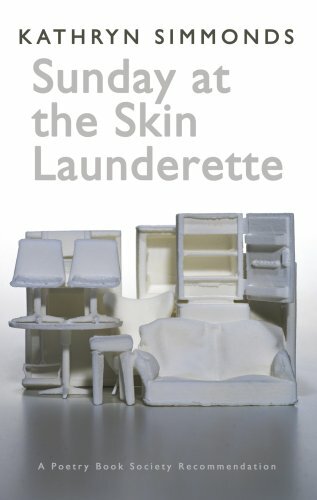 In 2008, Kathryn Simmonds won the Forward Best First Collection Award with Sunday at the Skin Laundrette, which Michael Symmons Roberts lauded as "a remarkable debut." He praised her "expansive imagination", her "wit and humanity". 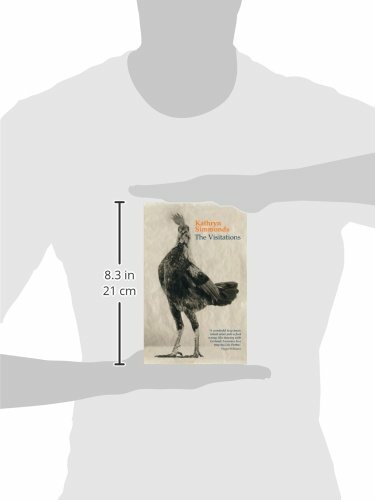 Also shortlisted for the Costa Poetry Award and longlisted for the Guardian First Book Award, the collection was described in the Guardian as a "playful and knowing first collection fuelled throughout by a strong sense of lyricism." Simmonds was born in Hertfordshire in 1972, and her decision to take an MA in Creative Writing at the University of East Anglia was reached after the sudden death of her father when she was 27 :"It made me think seriously about what I was doing with my life, and I knew the only thing I really loved doing was writing." She graduated in 2002, and in the same year received an Eric Gregory Award from the Society of Authors. In 2004, Snug was a winner in the Poetry Business competition and was subsequently published by Smith/Doorstop. Simmonds recently "got hooked" on writing short stories. She says of this shift in medium: "I'm attracted to the short story because, like a poem, it can't tell you everything and doesn't seek to. Like a poem, the short story taps you on the shoulder and then leaves." . In 2007 her story Pentecost was shortlisted for the Asham Award. She has also “experimented” with playwriting, and her first radio play Poetry for Beginners, a comic drama set on a creative writing residential course, was broadcast on Radio 4 in 2008. Sunday at the Skin Laundrette juxtaposes the everyday with the metaphysical - as, for instance, in 'Leftovers', where she writes "Lit like a tabernacle, the fridge/ does not contain a miracle/but only bits of bits in bowls", even though the icons displayed in this metaphorical house of worship are nothing more wondrous than non-descript something-or-others, shapeless and chilled. Similarly, in the title poem, we are confronted by the surreal scene of people removing and cleansing their skins. This state of complete nakedness allows them to "work out once again where their souls are hiding". Both of these poems can be heard on this Archive recording. Kathryn Simmonds reads her work with a slight smile in her voice, as if she is relishing what she is about to tell us, thus highlighting the PBS Selector’s reference to her "sharp warm wit…her theatricality and storytelling". This serves to draw the reader, and here the listener, in "to something deeper" - towards the mysteries which lie within the ordinary. Kathryn Simmonds' recording was made on January 27th 2009 at the Audio Workshop, London and was produced by Anne Rosenfeld.